This piece was written by Candace Stanciel, Director of Convenings at New Profit. For more blog posts on the topic of diversity and inclusion, check out our #OpportunityRedefined digital dialogue series. 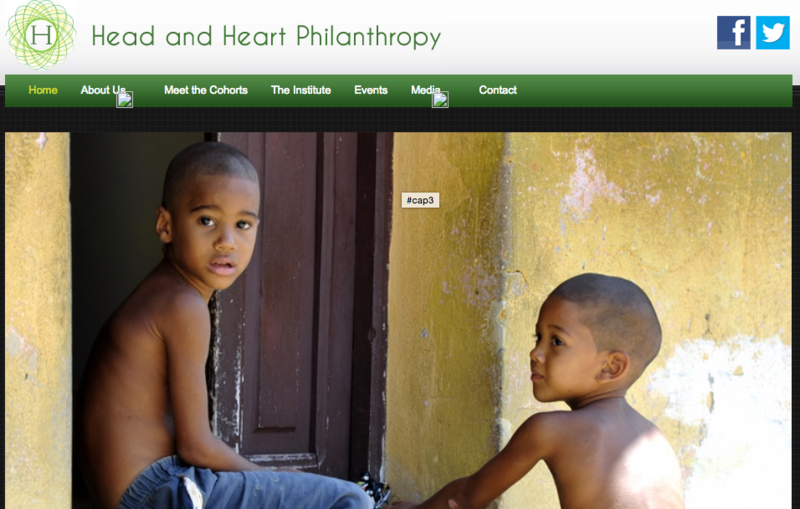 On August 16, Head & Heart Philanthropy, an organization dedicated to addressing issues impacting communities of color within the United States and abroad, kicked off its fourth annual Philanthropy on the Vineyard conference. The conference provides a space for People of Color working in philanthropy to gather and discuss issues within the philanthropic space. This year, Kim Syman, Managing Partner of Field Leadership at New Profit, was invited to join in on the discussion as a panelist. The conference brought together social entrepreneurs, corporate social responsibility (CSR) leads from multiple industries, academics and political operatives of color for conversations around increased and more cost effective access to education, specifically within Historically Black Colleges and Universities (HBCU); the value of growing strong social entrepreneurs of color; reimagining philanthropy and how and where resources are directed; as well as the growing need for diversity in venture philanthropy and impact investing. These questions, and other similar ones, have been at the forefront of discussion at New Profit since the beginning of my tenure here in early June 2015. I have learned that following the 2015 Gathering of Leaders, which was centered around issues of diversity and inclusion, New Profit has been working to keep those discussions going both within and outside our organization. Internally, we have started a Diversity Working Group of New Profit employees who are digging into diversity and inclusion issues to see how we can strengthen our approach to them. In a broader sense we are in the process of starting a Criminal Justice Fund that will focus on issues of recidivism, prison privatization and other parts of the Prison Industrial Complex. We have also been working to convene leaders in the field to continue these discussions, a recent example being a Google Hangout featuring Kirsten Lodal of LIFT, Alex Bernadotte of Beyond 12, and Maria Teresa Kumar of Voto Latino. The Hangout focused on how these leaders are pushing the boundaries on social problem solving and, in the process, changing old notions about opportunity in America, part of our #OpportunityRedefined Series. The conference was a place to continue the conversation. I thought it was an amazing experience; there is nothing like being in a space that both challenges and uplifts as one looks to change the world. I was excited to hear from Dr. John S. Wilson, President of Morehouse College, as he discussed the changing nature of HBCUs and Higher Education. He discussed creative funding for institutions, the growing student diversity on campuses and the importance of redefining the value of Higher Education. Additionally, there was an acknowledgement of increasing student interest in social innovation and the integration of passion and solution creation within future careers. As a former employee of Morehouse College and a staunch Higher Education advocate, I appreciated the idea of rethinking how we prepare students for the future. This was especially interesting as New Profit prepares to conclude our five years of Pathways work and more deeply dive into our Learn to Earn efforts, both of which support education and training for life preparation and careers. The weekend had a number of powerful panels, but one I found especially compelling focused on the importance and influence of media. The subject is especially important at present, due to the consistently changing definition of “media.” With the growing number of media outlets, and the burgeoning importance of social media, it is important for members of the philanthropic community to understand the impact of storytelling and its ability to change minds, hearts and actions. We were joined for “Entertainment with a Purpose-The Power of Storytelling & Media” by Sandra de Castro Buffington, Founder of the Global Media Impact Center at UCLA and Carol Cone, CEO of ON Purpose. The panel, moderated by former BET executive Sonya D. Lockett, made the group consider the power of socialization through mass media, the importance of diverse storytellers and the value of nontraditional media to allow a platform for ideas not yet considered mainstream and voices often absent from the conversation. We also discussed the value of social change agents participating with media by serving as consultants on TV shows and film with a message of impact, finding outlets to drive culture change, and increasing diversity at the table by building a following. Coincidentally, the conference fell on the same weekend as President Barack Obama’s visit to Martha’s Vineyard, a fact not lost on attendees. President Obama has worked to ensure increased awareness around access to affordable education, the challenges for African-American boys and the impact of race in one’s daily life, subjects which were major points of discussion during the conference. President Obama has changed the way race is talked about in America and has led us to some tough conversations. As we consider his legacy, also discussed at length at the conference, we understand that what we do next - politically and philanthropically - will define the United States we leave for generations to come. It may often seem when you look at the arena of philanthropy, and more specifically venture philanthropy and impact investing, that people of color are absent. I think the Head & Heart Philanthropy Conference considers why and pushes for change and greater access; understanding that in adding more voices and perspectives to the table, the solutions we create are even more valuable. The truth is, while there are many African-Americans engaged in the arena, access points to larger leadership opportunities may be limited and the pipeline seems to shrink, slowing our progress towards true equity. Determine ways to expand your network. Who are you not connected to and who can assist you in accessing that community? Are you aggressively encouraging a diverse pipeline for your organization? Determine opportunities to engage with young SE’s of color to ensure they are on the right path early in their organization’s development. Invest time, talent and treasure in them. Seek out training for your Board and make measurable efforts at increasing diversity. Diversify and train teams to ensure a perspective on bias, diversity and inclusion is present throughout each decision-making process. Create a culture where challenging an idea or perspective is celebrated and encouraged. Each of these efforts leads us toward large scale, industry-wide innovation and impact.